Provender Mill (photo by AJ Veitch). When designing my housing, I started by looking at the area of the creek and its history. The creek was a key part of Faversham's port, which was important throughout the town's history. It was part of the Confederation of Cinque Ports as far back as the 10th Century, and by the reign of Elizabeth I was transporting corn, wheat and malt to London by sea. This was a consistent part of the town's income until its decline in the early 20th Century, and many of the related 19th Century buildings are prominent creek-side landmarks. Brick work at Swindon Designer Outlet. One of the identifying features of many 19th Century buildings, including those in Faversham, are the different brick depths. Forming buttresses, cornices and other architectural features using bricks that protrude from the main structure are a large part of the identity of these buildings. When designing my own version, I wanted to be true to the original. 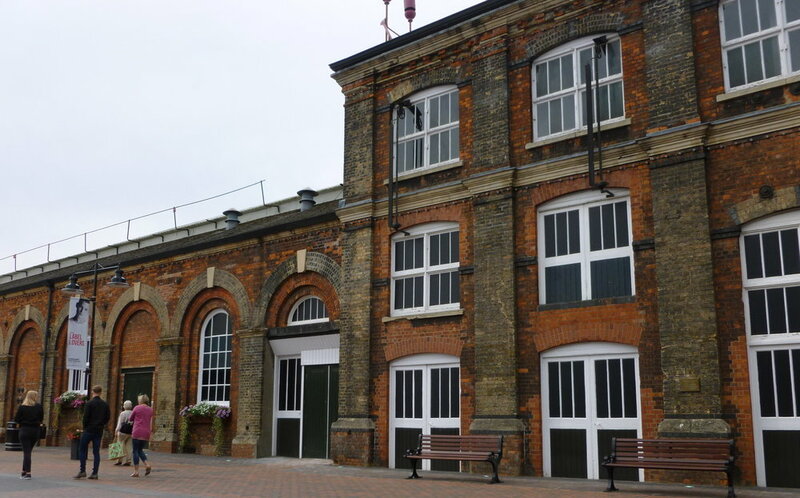 The ex-GWR Railway Works in Swindon, now a Designer Outlet, is a similar style of building and also has many different layers of brick. Something that really frustrated me about a new development nearby was that it copied the proportions of the Railway Works, but none of the brick layering so the building looked too flat and smooth. I wanted to avoid that. 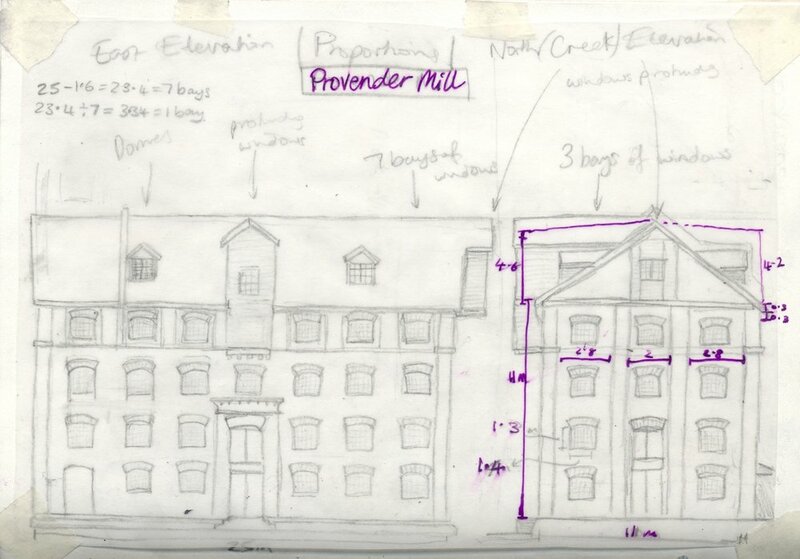 I managed to find a Historic Building Survey of Provender Mill, and used those drawings to get a rough idea of the dimensions, which can be seen below. 1:50 Provender Mill Dimension Elevations. 1:100 Provender Mill Dimension Elevations. Although I wanted the design to be faithful to the original buildings, I didn’t want to just copy them. One of the ways I did this was by changing the window positioning. In my design, the locations of the windows are based on the room layout. They are not evenly spaced or symmetrical, and some even encroach into brick buttresses. The other obvious change is in the roofline. Both buildings I looked at had a wood clad protrusion at roof level. My roof has a different, eye-catching feature. I wanted to give the residents a private area, which was covered but still open to the elements. 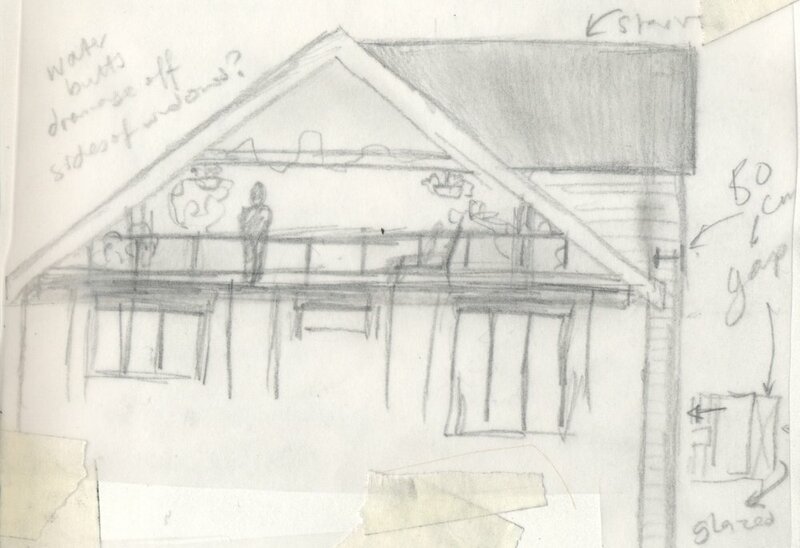 To achieve this, I left the gable ends of the roof open, stopping the walls at the top of the previous floor. This allows residents to look out over the creek and countryside beyond, whilst also sheltering from the weather.